Editor's note: Gai Keke is an associate professor at School of Computer Science and Technology in Beijing Institute of Technology, China. The article reflects the author's opinion and not necessarily the views of CGTN. “Chinese drones” has become a buzzword in the private market since a few Chinese IT giants jumped into the pool, such as DJ and JD. The booming growth of Chinese drones likely makes China lead the race in the private sector and Chinese companies already take a major market share with a long list of products. When speaking to those behind the scene, there are many arguments for and against China's lead position. The question remains on whether China is at the forefront of the drone technology. It is hard to estimate the stage of the Chinese drone technology, as various categories of drones with distinct purposes may be associated with different technical requirements, standards or evaluations. But there is a hint that possibly can provide a reference for positioning Chinese drone technologies. The clue is to investigate the original use of drones in China. Like other nations, such as the US and India, China mostly starts using drones for military purposes. The unmanned technology is a great choice for adopting “3D” (dull, dirty and dangerous) jobs. High-level requirements and tough operation environments determine that a military-purpose drone generally deploys advanced technologies to make it competent. 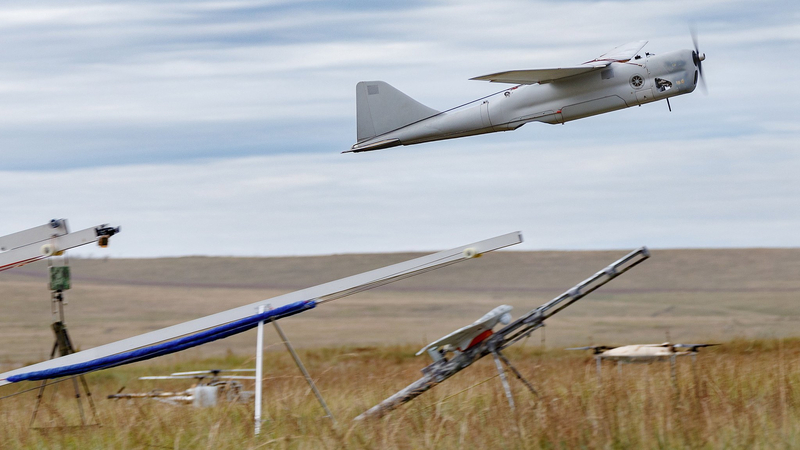 Thus, adopting military drone technologies in civilian products is a fine alternative for optimizing civilian drones in capability, quality, and reliability. 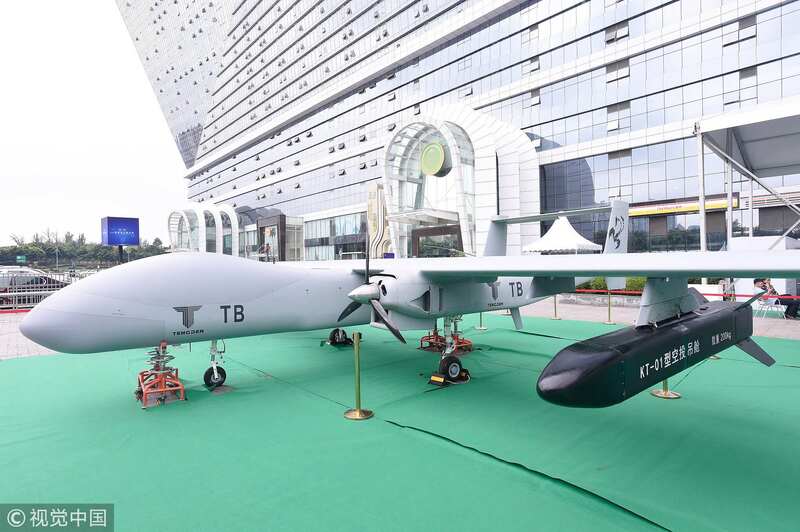 Following the trend of the civil-military integration, China's military drones are currently making progress in competing for civilian markets. No doubt that the Chinese government has made an effort to overcome the global monopoly of military drones in the past few years. Innovation generally is deemed a major force for driving Chinese military drones to reach an advanced level in a global view. A recent breakthrough is that a 5-ton-weight drone (CH-5) has been developed, which is a multi-role drone for military use. 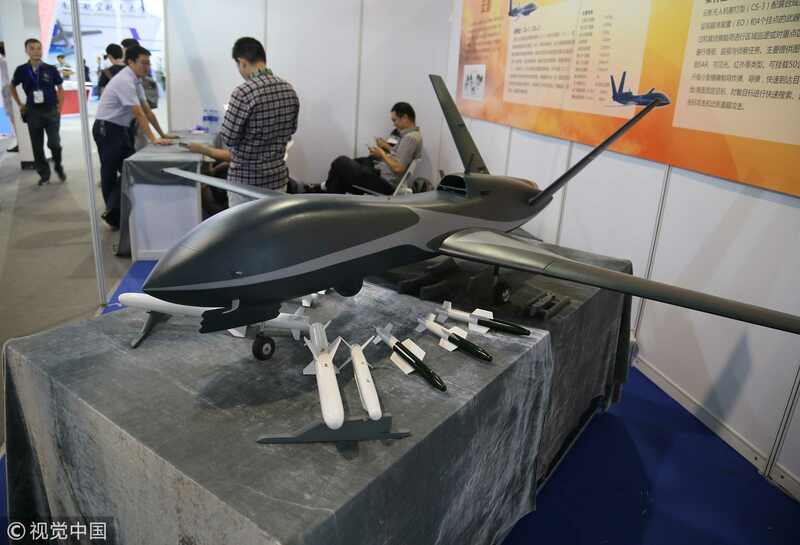 It was reported that CH series drones' systems were indigenous to China. Again, technology is always an advantage of military products. We can observe an ambitious move taking place in the civil-military integration of drones in China. Many sub-systems of military drones have expected potentials to take over future market shares. Without weapon systems, a military drone can be easily remodeled to civilian use due to its strong information collection ability and aircraft platform. Combined with artificial intelligence technologies, drones play an important role in decision-making in many intelligent systems. For example, military drones' surveillance functions can be applied in intelligent transportation systems, real-time traffic controls, intelligent patrols, resource explorations, environmental protections, etc. Moreover, a drone platform itself has a variety of use scenarios. For instance, a bigger-sized drone will be a good platform for making agricultural drones with deploying more sensors and digital imaging capabilities and carrying more farming solutions. Some smaller-sized drones will be a great option for drone displays, which typically are replacing fireworks in big celebrations. No noise or air pollution will be produced during the operation of drone displays. Transferring military drones to private use is only an epitome of the civil-military integration in China. It is observable that there will be a profound influence on China's economic development made by the strategy of the civil-military integration. Technological accumulations from military will dramatically shorten the research and design cycle of civilian products. Citizens will directly receive the benefit of the technology advance.